JEC Group, a leading promoter of composite materials worldwide, and European Composites Industry Association (EuCIA) have signed a partnership agreement to join forces in Europe to promote composite solutions throughout application industries and help national organisations to share their best practices and identify opportunities of development. The first common action will take place during JEC World 2019, on March 13, in Paris where EuCIA will present the Eco Impact Calculator for composites which is a life cycle analysis tool to allow the calculation of the environmental footprint related to a product, a process or a service in terms of key impact parameters. The web based, free Eco Calculator Tool can be used by manufacturers, academia and authorities without the specialism that is required for full life cycle assessments, said a press release from JEC Group. The research published by EuCIA about the prospect for new guidance in the design of FRP structures will also be presented by Luigi Ascione, professor, University of Salerno during the JEC World Construction Composites Circle on March 14, 2019. 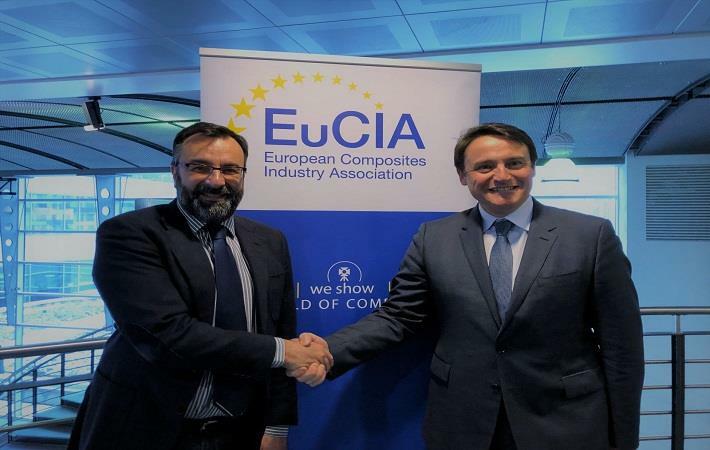 “I am very proud to announce this partnership and to support EuCIA initiatives as I strongly believe that joining common efforts and strategies will benefit to the overall composite industry in Europe but also worldwide,” said Eric Pierrejean, JEC Group CEO.